A HUGE happy festive season to everyone. I just wanted to take this opportunity to remind everyone of the great joy that can come from this time of year – looking back on achievements, friends and special occasions. And for us to pause and consider those less well placed who can find this time of year especially difficult. Let’s all have a grateful, generous, fun and compassionate festive holiday. 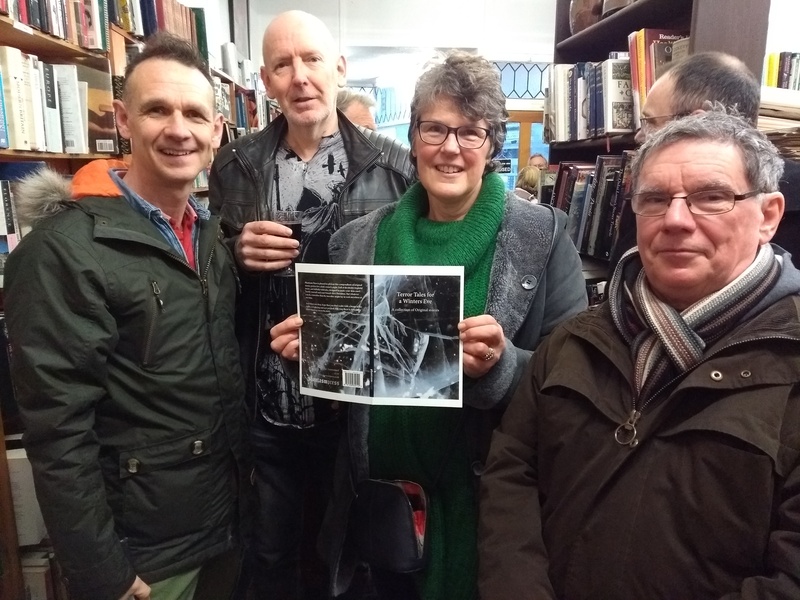 ppps, A reminder – Terror Tales for a Winters Eve is now out for sale through The Bookshelf on Victoria Road, Scarborough. Wonderful news for the festive season. 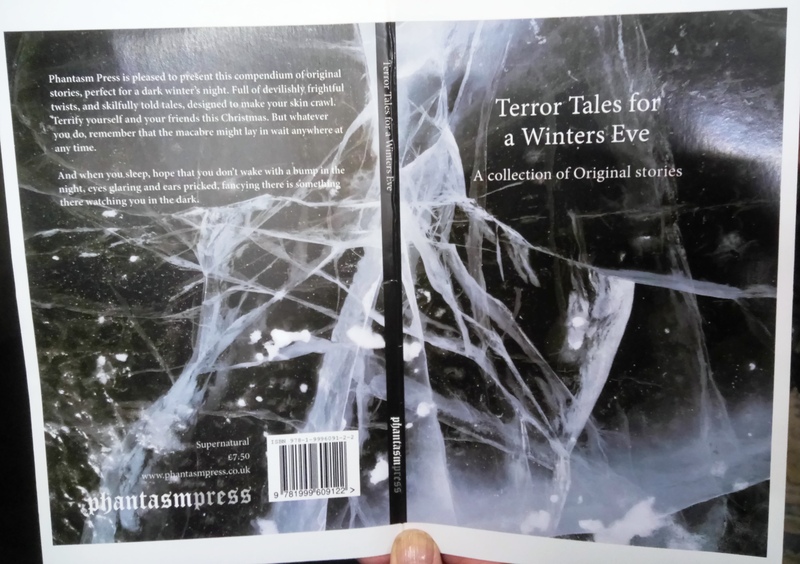 Terror Tales for a Winters Eve: A collection of original stories, to chill even a winter’s night – due for publication from Saturday 22 Dec 2018 – featuring; not one, not two, but four original works by members of the Scarborough Writers Circle. Judith Woodroffe, Julie Fairweather, Stewart Ashton and Robert Adams. Supernatural stories from Phantasm Press. 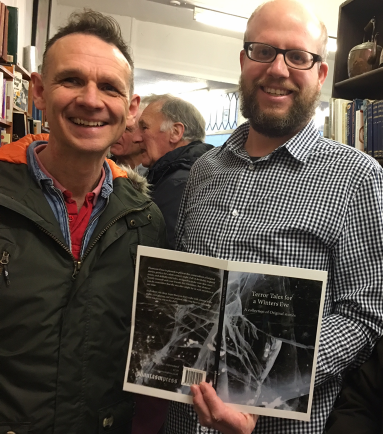 with Daniel Wilkins at The Bookshelf in Scarborough. ps, all monies raised will be going to charity. Go on – you know you want to! pps, if you don’t, we’ll haunt you for ever more. 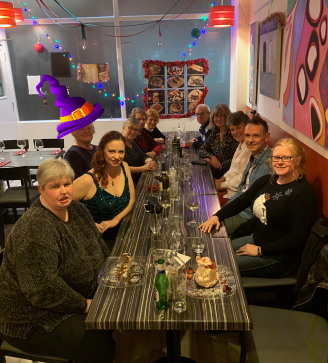 This has been a hugely successful year for the Scarborough Writers’ Circle. Our chair Dorinda Cass has carried on for another year. Lesley Young will carry on in Publicity. We have a new Treasurer in Carol Steel and a new Secretary in Robert Adams. A huge thanks go to Dorinda for all her work last year, to Julie Fairweather who is stepping down as Treasurer, and Judith Woodroffe for being an excellent host at the Newby/Scalby Library. 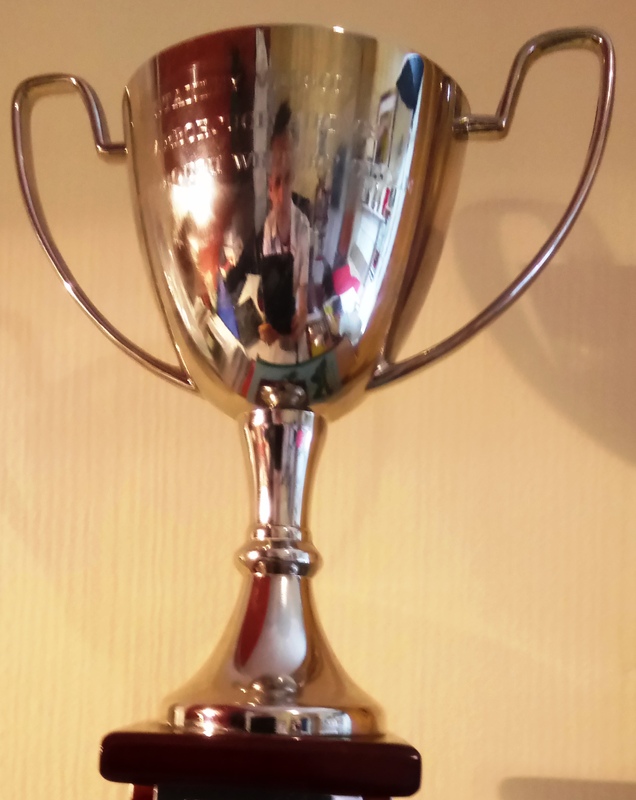 Judy Woodroffe won the Arthur Hastings prize, Julie Fairweather won the Leslie Richards prize, Judy Woodroffe won the Nikki Barker prize, and Robert Adams won the Stanley Wilson Cup. 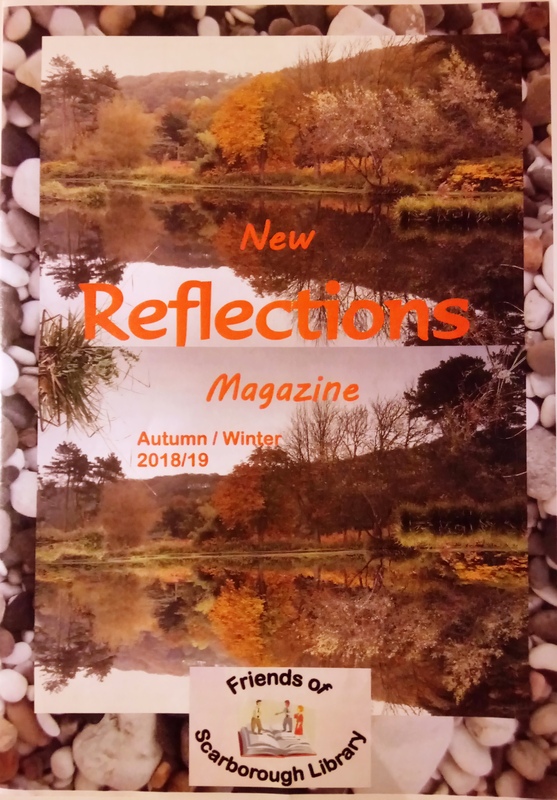 ‘Time to Think’ by Robert Adams, ‘Fadings’ by Julie Fairweather and ‘Lines on Facing Sixty’ by Judith Woodroffe were all published in the Friends of Scarborough Library New Reflections Magazine, Autumn/Winter 2018/2019 edition. Carol Steel had ‘Dogs and The Firework Session’ published in the Scarborough RUFC magazine. 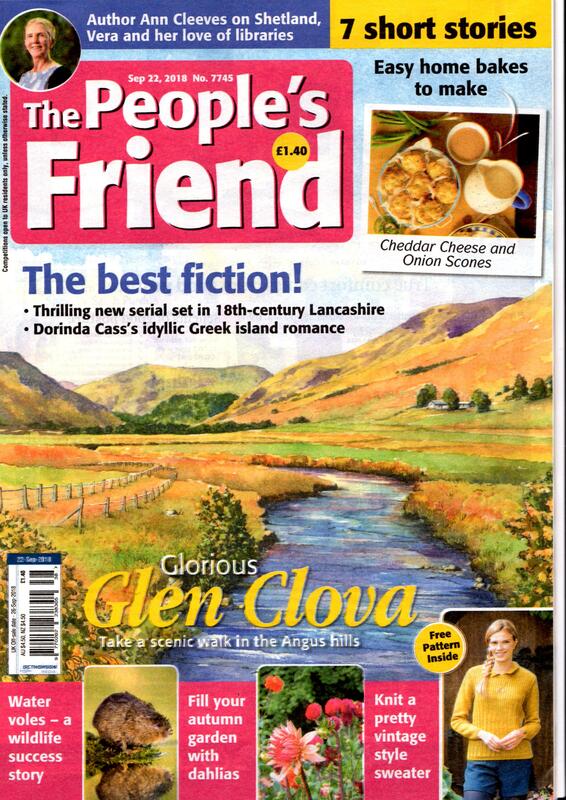 Dorinda Cass published ‘Greek Island Romance’ in the People’s Friend, 22nd September 2018 edition. 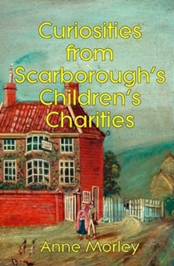 Anne Morley published her book ‘Curiosities from Scarborough’s Children’s Charities’, and Robert Adams published his business book ‘DISCover the Power of You’. We will be resuming our monthly meetings from Tuesday, 15th January 2018 at 7.15pm, Newby/Scalby Library. Why not come along and try us out! It’s fun, supportive and extremely helpful to anyone looking to progress their writing. New posts arriving soon . . . 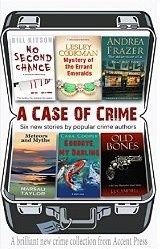 Creator of DI Mike Nash, Eden House Mysteries and the Byland Crescent Saga. Anne Bond was President of Scarborough Writers’ Circle when I applied to join the group. I was more than a little wary, as Val had told me that among the Circle membership were playwrights, novelists, former newspaper editors and columnists. The process of submitting a sample of writing to be assessed for my suitability did little to lower my trepidation. 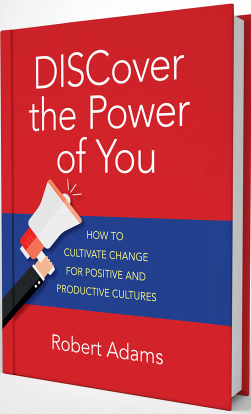 Within minutes of meeting Anne, she not only put me at my ease, but contrived to convey how much fun was to be had by attending Circle meetings, and how much I would learn by joining. Anne took a special interest in new members and fledgling writers, praising, encouraging and providing valuable criticism, all delivered with a warm smile. She did much to fire my enthusiasm for writing and supported my determination to become published. Thank you, Anne. It was a privilege to know you. Long-standing Circle member and novelist, Anne Bond, died on Friday 2nd May after a sustained period of illness. Anne was born and bred in Scarborough and worked in a variety of jobs locally, but found an interest in writing while still a child. Over the years, she had many short stories and articles published in a variety of magazines, but her greatest achievement came in the late 1980s when she started on the road to becoming a successful romantic novelist. Her first book, ‘Dance Without Music’ (published under her full name of Frances Anne Bond) was an instant success. Set in the period leading up to WW2, it tells the story of local girl, Sarah Armstrong, a barmaid in a seaside holiday resort, who meets and marries Victor, a strange and taciturn man who works at the local theatre. The book proved especially popular with readers at Scarborough libraries. A further six books followed throughout the 1990s (available on Amazon, from booksellers or the library). Anne attributed much of her success to the support and advice she got from her fellow members in the Writers’ Circle, where she was a long-time member and served as Secretary for a number of years. And, although self-effacing about her own undoubted talent, she was always ready and willing to pass on her considerable knowledge to aspiring writers. She had been out of circulation for a few years due to severe illness, but she will be remembered and much missed by those of us who knew her and counted her as a friend, and our deepest sympathies go to her husband, Peter, and her two daughters.